My friend (and sister-in-law), Jennifer, is a crafty and creative type of person. She wows and floors me with her ideas sometimes. I confess to NOT being crafty or creative. I have to see someone else do something (about a million times) before I feel like I can give it a go myself, with any hope at success. She told me about this simple idea that she worked up for my (cute and ever so adorable nephew) to play with. I think I can do this one. So you probably can as well. I asked if she wouldn't mind writing the steps up for me (and others) and she graciously agreed to do so. Check this out. Carrie introduced me to amazing world of Safari Ltd. in a recent post she did about Narnia. I was curious, so I jumped over to their web site to see what other kinds of mythical creatures they had (I was really digging their Pegasus) and that is when I discovered: Toobs!!! Oh happy day! A Toob will feature miniature replicas and come in different themes: Horses, Dinosaurs, Arctic, Sea-life, and much more. They come with 12 replicas, which are about 1.5" to 3" tall and look fantastic! In and of themselves they are enough to let any imagination take flight, but then I had a stroke of genius. Why not make an environment for my son to play with his Toob figurines in? Enter: COLORED RICE! So I ran to our local craft store and after much deliberation bought the Safari Ltd Coral Reef Toob , mainly because it sported Nemo and Dory. And, while my son played with his new toys I set about to create an ocean for him! You can make an ocean, desert, Dino dig site, jungle, or any other environment with just a few household goods and a little creativity. This ocean has already provided hours of entertainment and keeps my little one occupied while I am busy in the kitchen. And, the best part is that it encourages creativity in my youngster! I love watching his imagination take flight. Step 2. Choose how many colors you are going to dye (I did three) and set out the corresponding number of zip bags. Depending on how big your box is you will determine how many cups of rice you will want to dye. Feel free to measure un-dyed rice into your box to see how much you want. But, none of these measurements have to be exact. This should be fun for all parties involved and not stressful! Note: I will be demonstrating 1 cup Rice to 1/2 tsp. Vinegar for ease. You can dye larger batches at once with a larger zip bag in needed. Step 3. Measure 1 tsp. Vinegar into a zip bag and add 4-6 drops of food coloring. Zip and mix Vinegar and Food Coloring. Repeat for each color you are making. Step 4. Measure 1 Cup of Rice into your zip bag. Zip and mix Rice with your Food Coloring and Vinegar mixture together until all the rice is well coated. Repeat for each color you are making. Step 6. After allowing the rice to dry shake the bag to loosen any rice that may have stuck together. Pour rice in to designated box and let the Adventures Began!!! Note: If you don't want to wait over night or the rice still seems a tad moist when you first open the bags, (the Vinegar smell will disappear after a few minutes) place the rice in a glass cooking dish (9x13 works great) in your oven on low for 15-25 mins and the rice will dry it out without hurting the color. Have fun and let the creative play began!!! Note: Picture of my adorable nephew, our little Buckaroo. Helpful Hint: If you are dying really large batches of rice at a time, say for a kids party, classroom, etc. consider using Easter Egg Dye instead of food coloring. It is super easy! 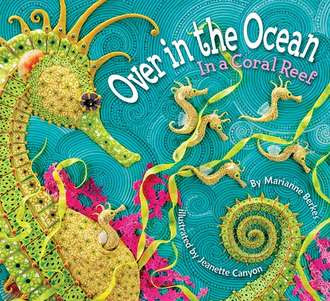 Very imaginative, bright and cheerful - we feel safe in recommending this book. And, of course, I always feel safe in recommending Safari Ltd. animals to you! We're quite the fans around here and are delighted with our fresh converts! ;) Stay tuned for some additional ideas for Safari Ltd. figures. Carrie, I'm impressed!! It was genius! I bet mine would love this too...but we don't have the little Safari animals. Hmm...birthday wishes?? This is something I have never done with my girls, but my dear MIL has, so for that I am thankful. I think this will come in mighty handy for the DLM when he'd old enough to not eat the rice or animals! Glad you all like the idea! We have had a blast with our little ocean and I look forward adding various environments and animals as we learn about them! We are having fun!